This is no April Fool’s joke. The fourth and final season of the Banshee TV series debuts tomorrow, April 1, 2016, at 10:00pm. In advance, Cinemax has release photos, videos, and episode descriptions. Get them all, below. Banshee stars Antony Starr as Lucas Hood. 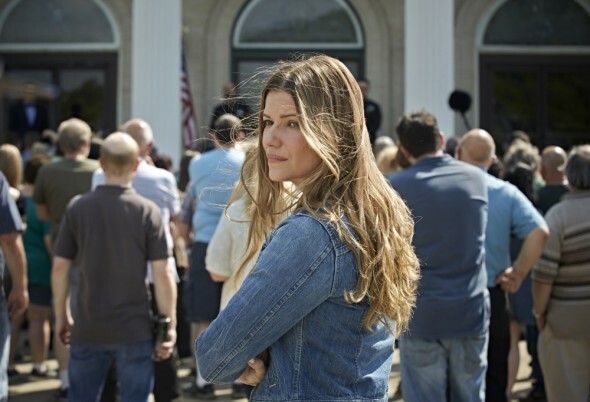 The cast also includes Ivana Milicevic, Ulrich Thomsen, Hoon Lee, Frankie Faison, Matt Servitto, Ryann Shane, Lili Simmons, Matthew Rauch, Tom Pelphrey, and Chris Coy. New to Banshee in its fourth and final season are Eliza Dushku, Ana Ayora, and Casey LaBow. BANSHEE returns for its eight-episode fourth and final season FRIDAY, APRIL 1 (10:00–11:00 p.m. ET/PT), exclusively on CINEMAX. Alan Ball, Greg Yaitanes, Jonathan Tropper, Peter Macdissi, Adam Targum and Ole Christian Madsen executive produce. In this season four, episode one clip, Brock patrols and abandoned cabin. Check out these photos from Banshee‘s final season. 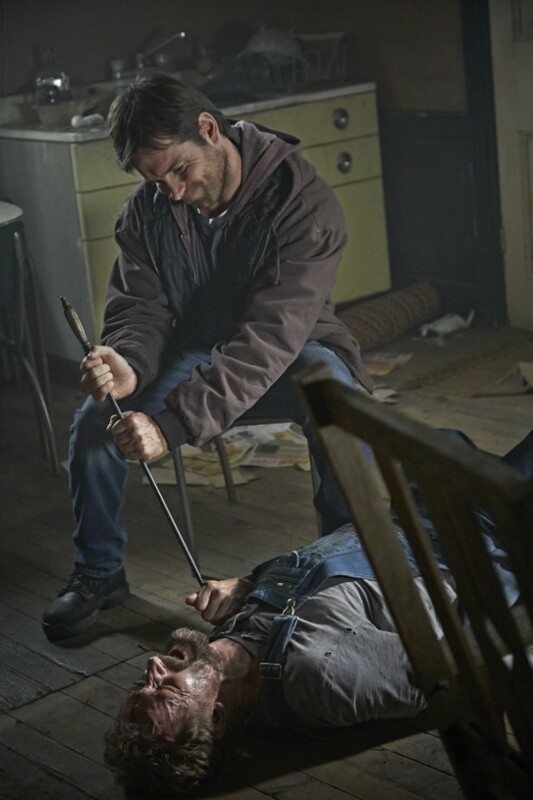 Antony Starr as “Lucas Hood” in BANSHEE. Credit: Gregory Shummon/Cinemax. Get descriptions of Banshee episodes 32 and 33, here. 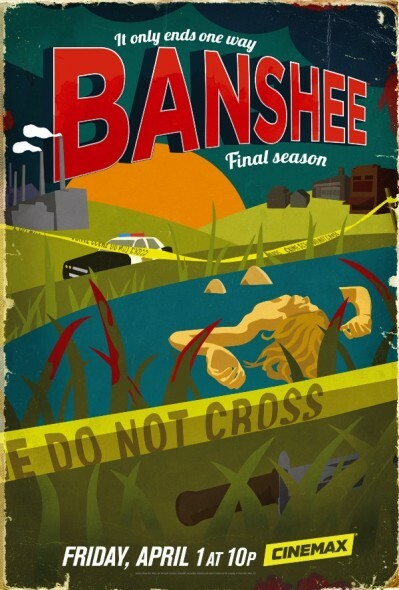 Are you a fan of the Banshee TV show on Cinemax? Do you plan to watch the fourth and final season? Is Banshee ending at the right time, or should it have been renewed for a fifth season? Let us know, below. 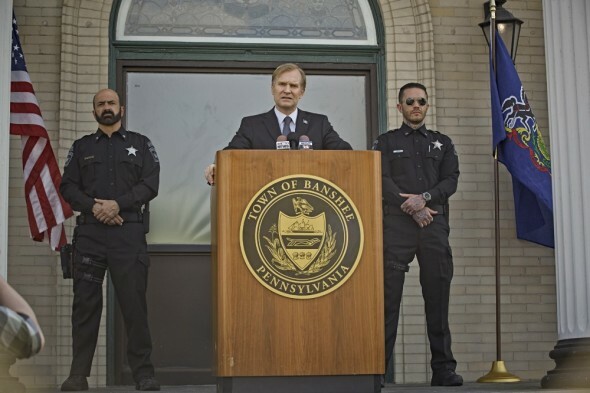 Would very much like to see more episode’s of Banshee.